'Utterly magnificent. Raw, thought-provoking and galvanising; this is a book every woman should read.' Eimear McBride, author of A Girl Is a Half-formed Thing. I have come to think of all the metal in my body as artificial stars, glistening beneath the skin, a constellation of old and new metal. A map, a tracing of connections and a guide to looking at things from different angles. How do you tell the story of a life in a body, as it goes through sickness, health, motherhood? How do you tell that story when you are not just a woman but a woman in Ireland? 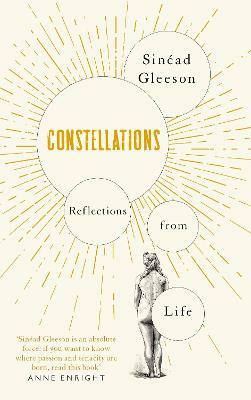 In the powerful and daring essays in Constellations Sinead Gleeson does that very thing. All of life is within these pages, from birth to first love, pregnancy to motherhood, terrifying sickness, old age and loss to death itself. Throughout this wide-ranging collection she also turns her restless eye outwards delving into work, art and our very ways of seeing. In the tradition of some of our finest life writers, and yet still in her own spirited, generous voice, Sinead takes us on a journey that is both uniquely personal and yet universal in its resonance. Here is the fierce joy and pain of being alive. 'Breathtaking and sublime.' Nina Stibbe, author of Love, Nina. 'Absolutely extraordinary and life-enhancing.' Daisy Buchanan, author of How to be Grown-up. Sinead Gleeson is a writer of essays, criticism and fiction. Her writing has appeared in Granta, Winter Papers and Gorse, and a story of hers appears in Being Various: New Irish Short Stories published by Faber. She is the editor of three short anthologies, including The Long Gaze Back: an Anthology of Irish Women Writers and The Glass Shore: Short Stories by Women Writers from the North of Ireland, both of which won Best Irish Published Book at the Irish Book Awards. Sinead has worked as an arts critic and broadcaster and has presented The Book Show on RTE Radio 1. She lives in Dublin.